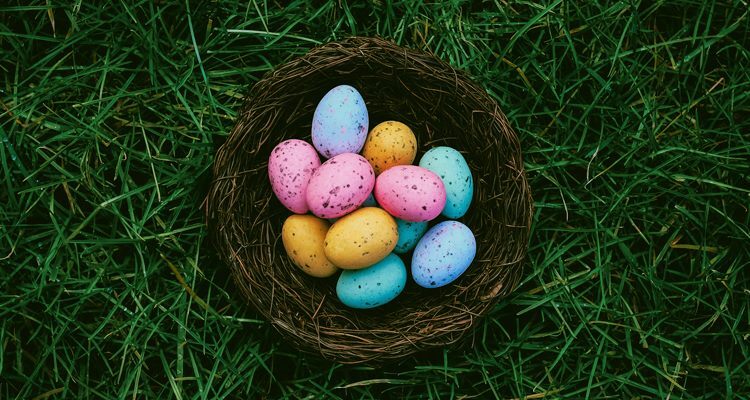 This guest post was contributed by Real Estate Unlimited, an Echo Park real estate company. Asheville’s placement in the Blue Ridge Mountains creates a variety of opportunities for outdoor fun, and the area is home to architectural treasures and natural wonders. 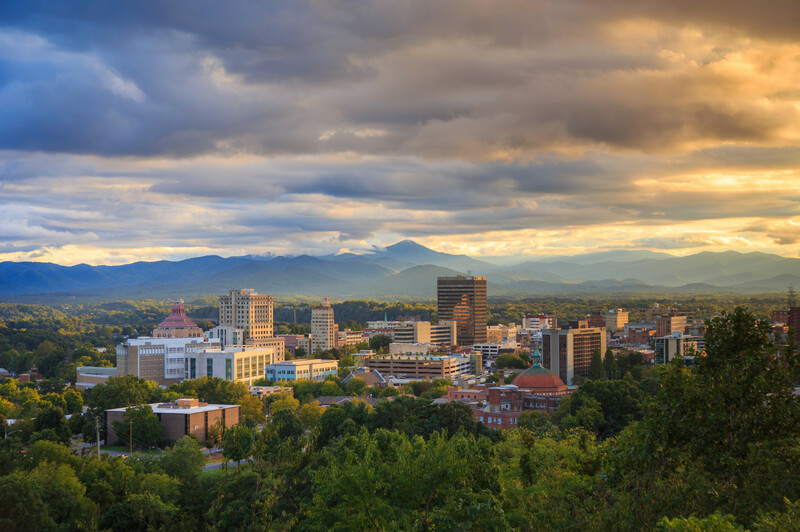 In this post, we’ll look at some of the prime ways you and your family can take advantage of the magnificent landscapes of Asheville, NC! Since Asheville sits at the juncture of two rivers, the Swannanoa River and the French Broad River, the area has become renowned for whitewater rafting, named “#1 Vacation with a Splash” by Good Morning America and National Geographic Adventurer. Visitors can enjoy a rafting trip on several local waterways, including customary favorites like the Nantahala River and the Pigeon River. 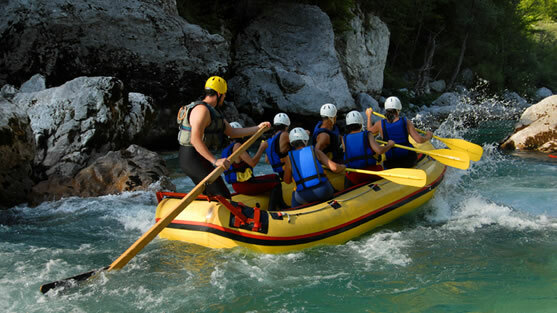 Each has its own personality, with some offering exciting rapids and others drifting along a more placid scenic course. Kayaking isn’t the only way to survey the landscape. For the adventurous traveler, multiple companies offer zipline tours that allow you to swoop out across the Asheville Valley, catching expansive views of the Asheville city skyline. Recently, several adventure tourism companies opened up zipline courses for all ages above ten, so your kids don’t have to miss out! If you’d rather keep your feet planted on the ground, you can take a waterfall tour including a leisurely day hike along the Blue Ridge Parkway, with rest stops at some of Asheville’s most beautiful natural water features. Cycling enthusiasts might want to check out the Farmland Heritage Trail, a gentle cycling and driving route that winds through the preserved agricultural communities of Alexander, Leicester, Sandy Mush, and Newfound. Along the tour, you’ll see “Farm Stop” signs indicating farms open to visitors interested in an educational tour. If you’re interested in learning more about the fauna inhabiting the Southern Appalachian environs of Asheville, plan a trip to the Western North Carolina Nature Center, which is home to over sixty species of local animals including river otters, black bears, cougars, and red wolves. 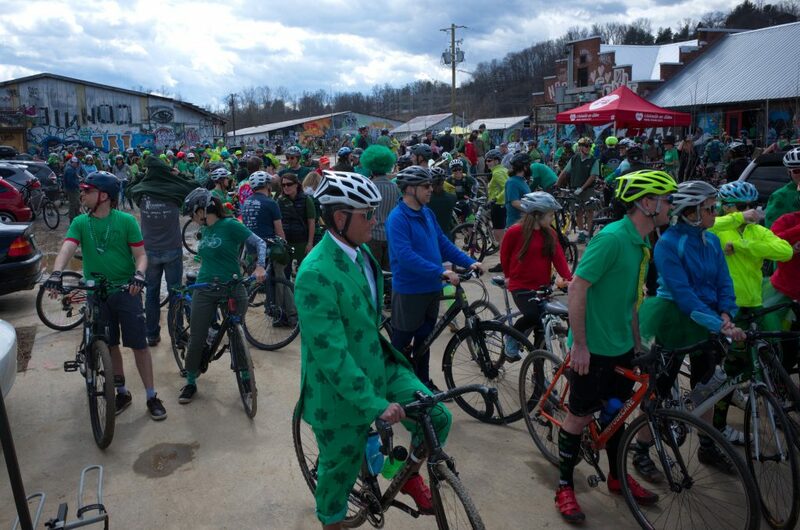 Asheville has a strong tradition of street music, from sidewalk buskers to multiple outdoor music festivals. One famous event is the “Shindig on the Green” outdoor music festival, which takes place every Saturday evening during July and August. Scheduled to start “along about sundown,” the festival takes over Asheville’s City/County Plaza for local bluegrass bands and dance teams. The trees bracketing the County Courthouse nearby provide an impromptu stage for jam sessions. If you’re interested in learning more about Asheville’s fascinating history, you can combine a walking tour with a journey into the past through Asheville’s Urban Trail attraction. The Urban Trail is a self-guided scavenger hunt. With the help of a detailed map, participants travel along a 1.7 mile city walking path that includes 30 stations, each one with its own work of art and bronze plaque offering information about Asheville’s history. Local sculptors and artists were commissioned to make each station engaging – for example, at the Vance Monument Station, you’ll see bronze pigs and turkeys to represent the Buncombe Turnpike, a busy thoroughfare for farmers taking animals to market. The tour includes literary stars like Thomas Wolfe and O. Henry, as well as architectural landmarks depicting Asheville’s Gilded-Age prominence. Although the course can be walked in under an hour, you’ll probably want to stretch the excursion over a whole day, since there are so many dining and shopping attractions along the route. However you like to spend a sunny day, Asheville has a wealth of attractions designed for you. Choose the countryside or the downtown square – or both! – and make this storied North Carolina city your new favorite vacation getaway! About the Author: Real Estate Unlimited is a premiere real estate agency located in Southern California, serving Echo Park and nearby neighborhoods. We pride ourselves on our in-depth local historical and cultural knowledge, ensuring that all of our clients are matched with the perfect home in the perfect area. We are passionate about delivering the best service to all of our clients.